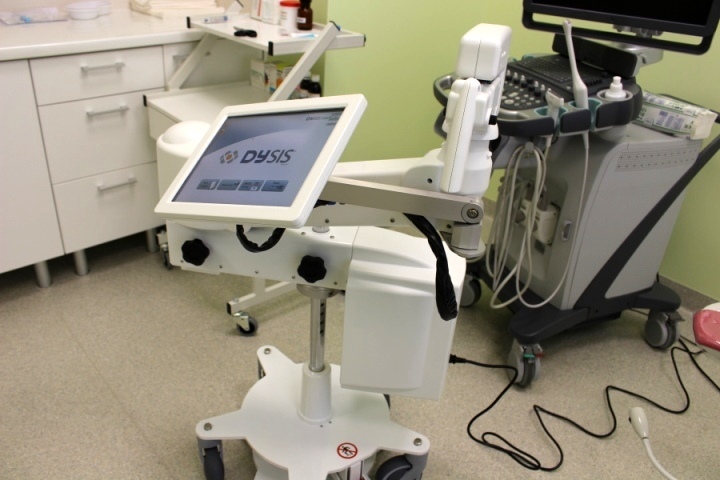 DySIS device - unique colposcopy device for early diagnostic of cervical cancer! Health Centre 4 (HC4) purchased a unique DySIS device - digital dynamic spectral imaging colposcope which is a great contribution to early diagnostics of pre-malignant conditions. This is the first device of this type not only in Latvia, but in the Baltic states! The training was held in HC4 related company Capital Clinic Riga where highly qualified specialists acquired theoretical knowledge and practical skills necessary to apply this cutting-edge medical device. Specialists obtained European certificates which enable them to perform these examinations. Training was provided by Dennis van der Molen, representative of the manufacturer (DySIS medical) from the Netherlands, and method specialist Kathleen Sandham from the USA. Dennis van der Molen explained that these devices are available in 25 countries of the world; this technology was been clinically approved and complies with the main requirements of the EU directive. Before cervical cancer was only diagnosed in 45% out of 100 patients with the signs of cervical cancer; however, since DySIS colpostopic device - digital colposcope with the possibility to perform spectral analysis - was introduced, this percentage reached 85. "Unfortunately, significant part of the patients have pre-malignant condition. 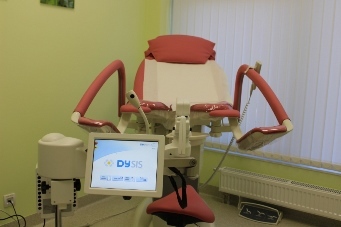 Before there were no opportunities to establish precise volume of the pathological process and severity of damage for the patients with pre-malignant changes in the uterine cervix, as there was a lack of such "sensitive" devices", adds the representative of DySIS medical. Inta Dinsberga, HC4 gynaecologist, says that this is the equipment of a very high level, and, unlike regular optic and videocolposcopy, it precisely visualises the scope of damage in the uterine cervix and the areas requiring more extensive examination. When tissue specimens are collected from specific sites in the uterine cervix, they are examined, and the physician can assess the severity cervical pre-malignant condition of the uterine cervix and adapt the further therapeutic approach. It must be acknowledged that this is not a screening method; this method is applied if oncocytological smear revealed changes in the uterine cervical cells. Then the physician assessed if and what additional examinations are required. I. Dinsberga recommends women who received a letter from the National Health Service with an invitation to undergo an oncocytologic examination to consult their physician and make this test, as the statistical data is not very optimistic. Cervical cancer is ranked second in terms of incidence among women after breast cancer, and it affects young women of reproductive age. However, the doctor admits that it is very important to discover changes in due time in case of the disease, as cervical cancer does not appear in one day or one month; it usually takes 7 to 10 years from the first infection contamination with HPV to the onset of cervical cancer. If cancer is diagnosed in due time, it can be successfully cured and women don't lose their reproductive function. Women can carry to term and give birth and have a happy life.